Why Has My Tumble Dryer Stopped Spinning? “Oh the weather outside is frightful”, from freezing temperatures, to sleet, rain and frost. 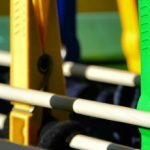 Winter is certainly here, and getting your laundry dry during the season can often be difficult. If your tumble dryer decides it no longer wants to work, the chore is nigh-on-impossible. A common fault with tumble dryers is they stop spinning. 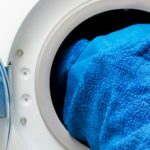 In this post, we explain the most common reasons for why your tumble dryer has stopped spinning and how to fix it, starting with the most common reason. If the drum in your tumble dryer doesn’t turn but the motor is running, nine times out of ten you’ve got an issue with the drive belt. It’ll have become worn, snapped or slipped. Thankfully confirming the drive belt is the issue and fixing it aren’t difficult tasks – and with a little bit of patience and some good old will power, there’s no reason why you cannot take your tumble dryer back to its peak performance. To diagnose if the belt is the cause of the drum not rotating, firstly manually spin the drum. It should be stiff and difficult to spin. If it is, the fault could be one of the other reasons listed below, if the drum spins easily, the belt is likely to be causing the fault. Confirm the belt is the fault by removing the top off the appliance, at which point you should be able to see the belt around the drum. If it isn’t there or if it’s looking worse for wear, it will need replacing and we recommend you watch the “How to Fit a New Belt on a Tumble Dryer” video below, to find out how to carry out such a repair. If the lights are flashing on the front of your tumble dryer and it’s getting power, but neither the drum rotates or the appliance sounds like it is running, there’s a good chance either the motor or the start capacitor is the cause of the fault. You can test to see which the probable cause is by manually spinning the drum quickly and then closing the door. If the drum continues to spin, but then won’t start again it’s likely the motor capacitor is faulty. It’s worth noting that such a part can hold a nasty charge, even when the appliance is switched off and unplugged, so if you’re going to carry out the repair as per the “Replacing a Tumble Dryer Motor Capacitor” video guidance below, make sure you take extra care. The idler pulley assembly is located next to the drive motor on the bottom of the dryer, and its job is to provide tension to the drum belt ensuring it doesn’t slip on the drive motor pulley or drum when it’s in use. You’ll be able to tell if there’s a fault with the idler pulley assembly as your tumble dryer will begin to make a squealing or squeaking noise, which if left can turn into a loud thumping noise. Another sign the idler pulley assembly has developed a fault is the drum rotating at a much slower speed than normal. To gain access to the idler pulley assembly on your tumble dryer, once the appliance has been switched off and unplugged, you’ll need to remove the too panel and a side panel. Once these have been removed, you’ll be able to see the assembly unit. We first recommend that you check the spring on the assembly is providing the tension it should in the belt, if it is take the belt off and test the pulley to make sure it turns freely on the shaft. If it doesn’t, or if the spring isn’t providing the correct tension, the pulley assembly may need to be replaced. To replace it, simply remove the bolts which hold the pulley in place and fit the new one, before putting the belt back in place. Although it isn’t the most common reason for your tumble dryer to stop spinning, a fault with the door switch can result in such issues occurring. Unfortunately, over time as a result of the constant opening and closing of the tumble dryer door the switch can develop a fault, preventing a solid connection. This in turn prevents the tumble dryer from recognising that the drum needs to tumble. We recommend you test the door switch’s continuity by using a multimeter. You should get a reading of zero ohms when the door is closed / the button is depressed. 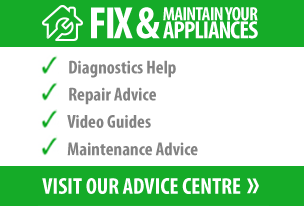 Knowing how to diagnose faults with your tumble dryer and how to fix them will help you to save money in both the short and long term. It’ll also help you maintain your appliance to its full potential for longer, meaning whatever the weather outside is doing you can still get your laundry dry.